A traditional twig or wattle fence serves as an effective barrier while adding a touch of Old World charm to your property. If you have a rural property, chances are you can build a twig fence using materials you have on hand. Like standard wooden fences, twig fences use wooden posts as their structural supports. Rebar is sometimes used in place of wooden posts. 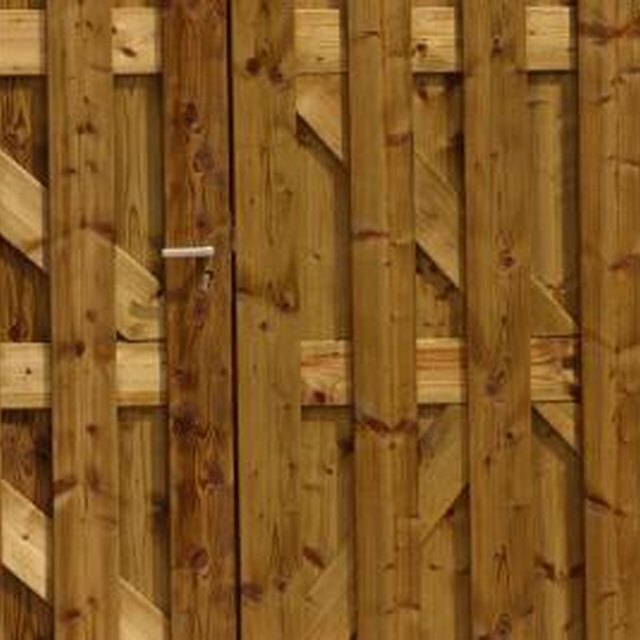 Instead of using planks as slats, saplings are woven between the posts to form the horizontal surface of the fence. Recently cut green saplings are the easiest to bend and are therefore ideal for use in a twig fence. Small gaps between saplings are ideal for vines and creeping plants. Cut your posts to a length of roughly 4 feet with a wood saw. Use longer pieces if you want a taller fence; part of the length will be underground. When gathering materials to use for posts, the wood should be roughly 2 inches in diameter. Once you've sawed the wood to length, use the hatchet to make a point at one end of each post to make them easier to pound into the ground. Lay out your posts at intervals of 3 to 4 feet along the route you want your fence to take. Shorten this interval in locations where the fence goes around a curve. Hammer your 4-foot posts into the ground, pointed end first, leaving about 3 feet above the ground. Cut down your saplings. Look for poplars, black walnut, honeysuckle and other native, fast-growing saplings. The quantity you need to cut depends on how long and how high your fence is going to be. Saplings should be about 1/2 inch in diameter and up to 8 feet long. Prune off any protruding twigs and keep the twigs for later use. Weave the saplings horizontally around the posts. Overlap the saplings in the same way you would a woven basket, making sure to tuck in the ends. Continue weaving saplings in this way until you reach the desired height for your fence. Weave thinner, shorter twigs through the saplings to fill in any large gaps. The intended use of the fence should dictate the height to which you build it. A fence to keep deer out, for instance, needs to be 8 feet tall. Because of the required height, a twig fence is not an ideal solution for keeping out deer.